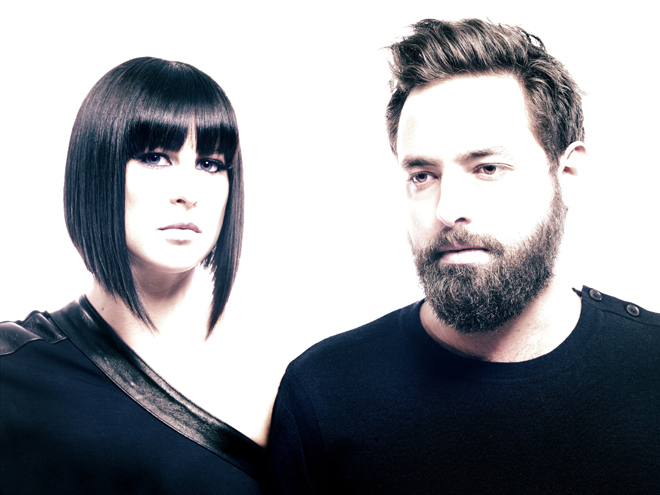 Sarah Barthel and Josh Carter release Nightlife, their second recording as Phantogram, on Nov. 1. Phantogram has always been bigger than the sum of its parts. When seeing the electronic duo of Sarah Barthel and Josh Carter perform early on, it was easy to look at the stage and see it as a bit empty — only Carter draped in his guitar and Barthel nearby behind a few keyboards. Then the music started. The band demanded attention with major beats, percussive instrumental licks and airy melodies, creating a presence far beyond the mere space its members take up. The band says it’s a perfect sonic bridge from the ideas of their first release, 2010’s Eyelid Movies, to the type of music Phantogram will create going forward. The first single off the mini-LP, “Don’t Move,” acts as a microcosm for that: It opens with a bright, rhythmic synth lick combined with looped vocals, providing an infectious beat as a backdrop. Barthel’s vocals come in lightly over stripped-down percussion, then the electronic voicings creep back in to enrich the soundscape. Nightlife represents the culmination of the band’s mindset and experiences after releasing their first album on a major label and supporting it with near-constant touring during the past year and a half. Carter says the process was trying and inspiring at the same time: The band would gain influences from their new experiences while fighting off the exhaustion that comes with writing new material after returning from a gig at 1 a.m. They had their share of highs on tour, though. Phantogram played their first late-night TV shows — Jimmy Fallon and Jimmy Kimmel — and got to perform at all the major festivals every band wants to play: Coachella, Lollapalooza, Outside Lands, etc. The added exposure even helped push their music to artists the duo admires like Jay-Z and Big Boi. Phantogram is still on the road, with the year’s final scheduled tour date set for Nov. 20 in Burlington, Vermont. The band plans on wrapping up, then doing what any mini-release implies — heading to the studio to craft new material.